We left Doha last week for a trip back to see family in the UK then on to see more family in the USA. Within a few days, the persistent cough I have suffered since arriving in Qatar was gone and my eyes no longer water. It must because I am not inhaling the fine dust that everyone in Qatar must breathe in everyday. It was pleasing to see so much spring-time greenery in England. It was back to using my left foot and changing gears rather than driving the automatic I have been used to over the last few years. Doha is so flat. We are now in San Francisco, a city built on hills. The steepest bit of Doha I ever climb is the little hillock a few metres high on the edge of Aspire Park. I usually avoid the more personal aspects of my life on this blog, however in this instance I am going to share the newest addition to our family. 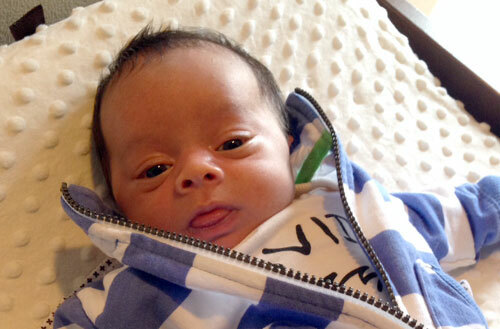 The main reason for heading to the USA was to see my new grandson… so please meet Kieran Edelman.